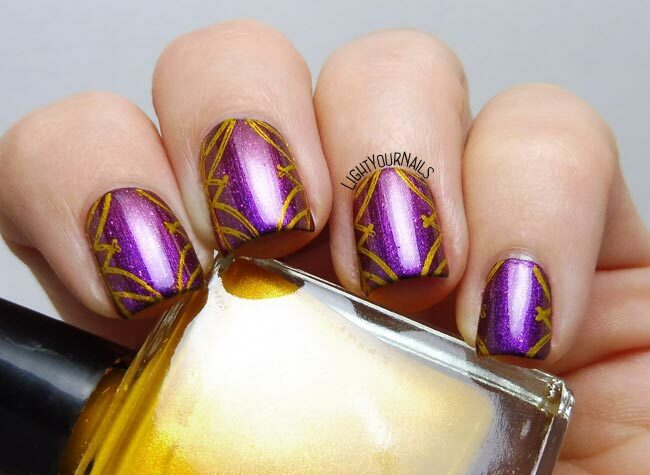 Purple curtains nail art | Light Your Nails! Today I’m showing you a nail art which is both easy but maybe also weird?! 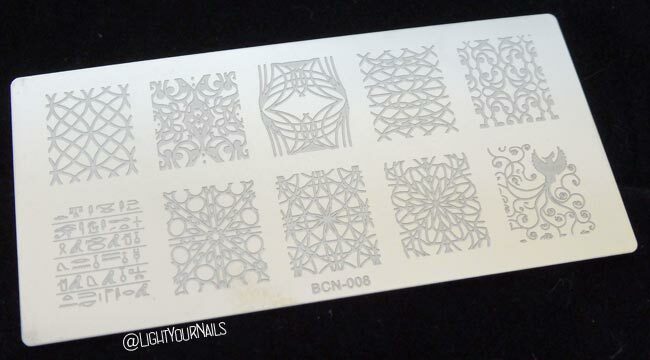 It’s the stamping I did over Berenice 42 Enigma. I don’t really know how I picked this pattern, I only knew I wanted to stamp in gold. Bornprettystore no. 1 was exactly what I had in my mind. Then the look kinda came by itself and it reminds me of those thick velvet curtains in theatres. What do you think? Does it also remind you of theatres’ curtains? Wow, these are gorgeous! 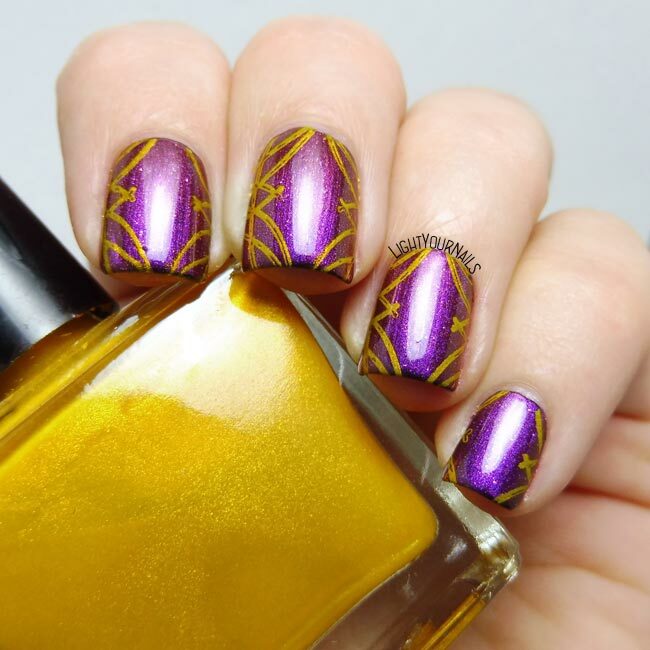 The gold and purple work so well together! This feels so Princess Jasmine/Aladdin-esque! Love it! Accostamento di colori molto azzeccato! Non avevo pensato ad un sipario, ma adesso che lo hai detto.... in effetti un pò lo ricordano! That purple base is so pretty! This is really cheerful! 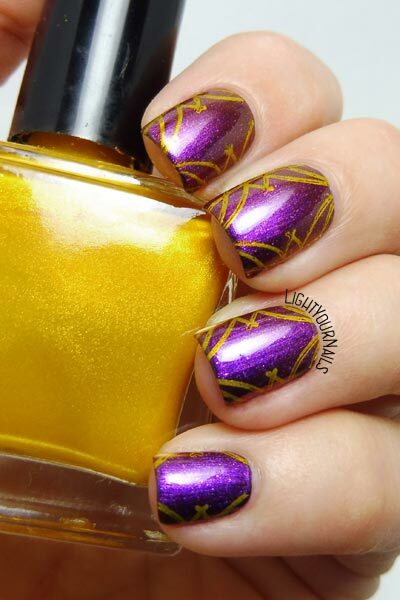 The yellow stamping is so fun. This is so chic and it does indeed remind me of that but also of excellent art deco and posh prettiness. E' vero riprende un po le tende di un sipario! Non avrei mai pensato a questo accostamento di colori e invece funziona, brava!